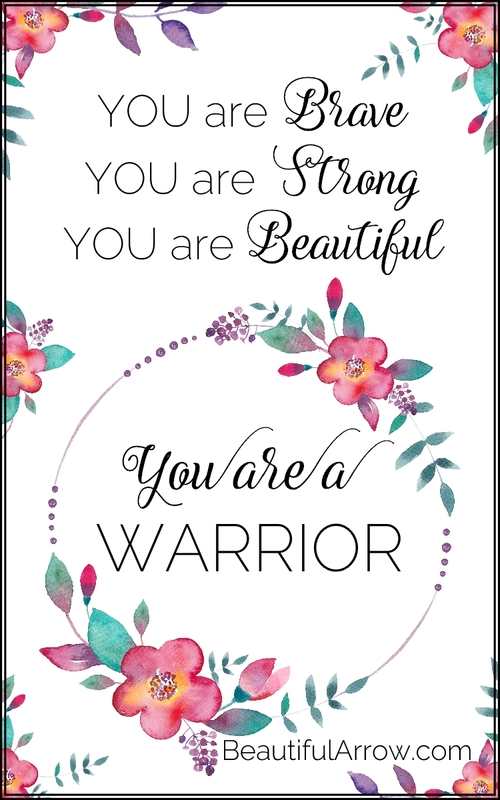 Today’s free printable is a 4 by 6 photo size floral warrior motivational printable that says You are a WARRIOR for encouragement on the days you need to be a WARRIOR. I need to be a warrior this week. Do you need to be a warrior this week too? My struggles recently include trying to save some sick kittens from the litters we have rescued from semi-feral stray cats in the neighborhood. Two kittens died last week. We are so heartbroken. 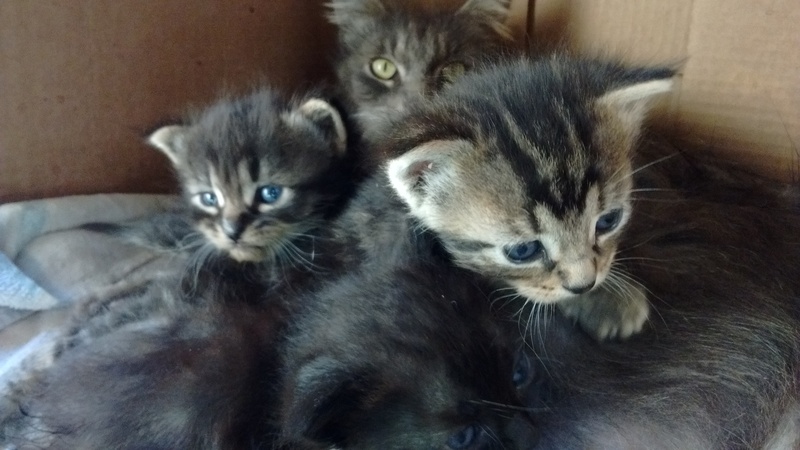 This is the first litter we caught, from the most tame of the 5 mamas – see her in the back? We took them to the shelter after they nursed for 8 weeks. We miss them so! I reached out in all the ways I knew to get help, but with extremely limited funds and energy, it has been tough. I found some people who do this kind of thing all the time, neutering feral cats and saving their kittens to tame and get adopted. And they told me, that sometimes they die and there is nothing you can do. If I would have taken them to a shelter, I was told, they would have most likely put them down right away because they are SO OVERCROWDED already. But it is still so very heartbreaking. And it is hard to get on with my other responsibilities with a heavy heart. Two from the first litter. We called them Momo and Yuki. We miss them! The back story: some neighbors kicked their un-spayed cats out of their home when they had a baby. These two cats had litters. Then we moved into this place, and before we knew it, these two cats and their female babies were all pregnant. I don’t understand fully how people can do this, and watch the kittens be born and scamper in and out of their yard. 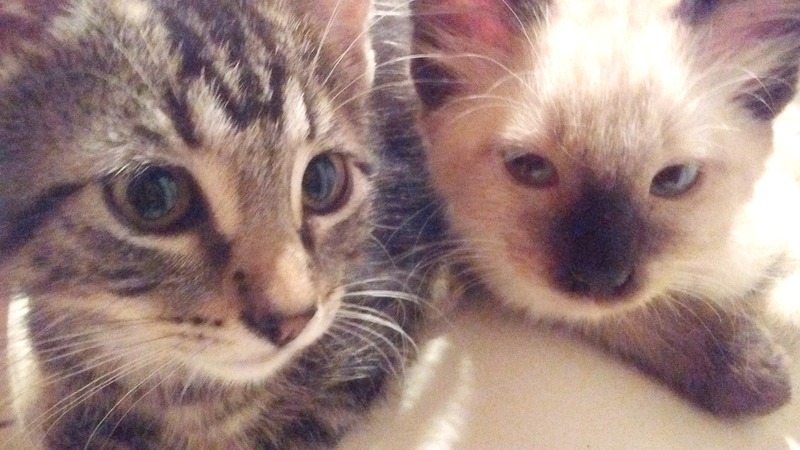 We were told that kittens from previous litters have disappeared and even been hit by cars. SO sad! I don’t want to judge, because I am not in their shoes. But I care about the lives of these animals, and I feel compelled to do what I am able. So far we have caught and tamed 14 kittens, and have neutered 3 of the adults. We have 2 more kittens to try to catch, and at least 5 more adults to neuter and spay. But then doing that has been requiring that I press through, push forward, grit my teeth and do this stuff. To do what I can to DO GOOD for these animal lives within my sphere, on top of already struggling with the human lives and situations in my life! Today’s post is to share this floral warrior motivational printable with you, to remind you that You are a WARRIOR. Your struggle is probably very different than mine. But your life requires that you step up and keep fighting. You can gain access to this free printable, and everything else in my resource library, by signing up below. 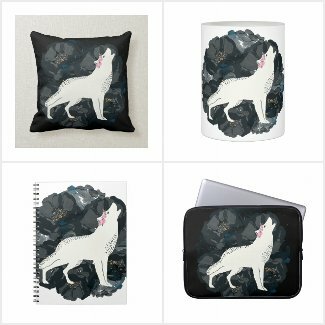 This one is #19 of 52 free digital downloads I have planned for this year. And if you are already a subscriber, it is already in the library! Beautiful Warrior, be reminded that you are BRAVE. Believe that you are STRONG. And know that you are BEAUTIFUL. May you have the strength, energy, peace, to get through your difficulties. May you have hope and vision for a good outcome and for victory. May you never give up offering your gifts and talents to the world, even it it is to animals. 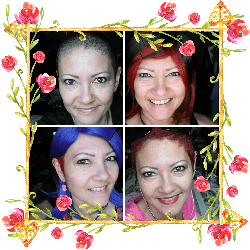 And may you keep fighting, my dear sister, because you are a WARRIOR. This is beautiful, Erica. I just LOVE it! I can totally relate to your kitten story, as well. We raised and found homes for kittens from a neighbor’s abandoned cat a few years ago. We even bottle-fed the babies when the mother disappeared for several days. The two kittens we kept as our own ended up being more like guard dogs for our home! Bless you for helping these sweet animals and helping to minimize further suffering in your neighborhood. Chele! So nice to hear from you! Thanks for the kind comment. Bless you & hope you are well.